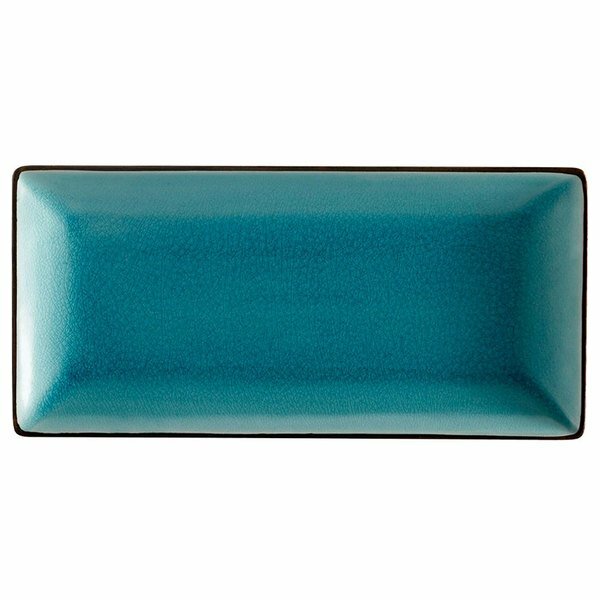 This CAC 666-13-BLU 11 1/2" x 6 1/2" black non-glare glaze and lake water blue Japanese style rectangular plate is perfect for Asian-inspired restaurants, sushi bars, or catered events. Its soft lines guide the rim into the base with a slight upward curve. This CAC 666-13-BLU 11 1/2" x 6 1/2" Japanese style rectangular plate is ideal for serving appetizers, sushi, fruits, vegetables, or desserts.